Don’t look for a dentist when you need spine surgery! The Southern District of Florida, which is one of over 90 federal districts nationwide, and which covers Miami, is known for its relentless prosecutions of white collar offenses. More than elsewhere, prosecutors from the U.S. Attorney’s Office in Miami bring indictments. For those finding themselves as targets, much is at stake. Each federal fraud felony may carry years of imprisonment upon pleading guilty or if convicted. The key, specifically when charged as a federal conspiracy, is to team up with lawyers that have a proven track record in federal court and who know how to effectively represent a client against the FBI, DEA, OIG, and other agencies. Don’t even think you will get a second chance! Our team of lawyers offers clients substantial experience with respect to all aspects of federal defense cases including federal litigation and avoiding criminal charges for individuals and businesses under investigation by the Justice Department, the Miami U.S. Attorney’s Office, the DEA, OIG, IRS, the Department of Health and Human Services, the Department of Homeland Security, the FBI, and others. Physician Targeted for Accidental Overdose. No Charges. Physician Raided by DEA and FBI. No Charges. Physician Investigated for Kickbacks. No Charges. Physician Accused of Opioid Fraud. No Charges. Business under Medicare Investigation. No Charges. Grand Jury Investigation (Kickbacks): No Charges. Grand Jury Investigation (Controlled Substances Act): No Charges. Grand Jury Investigation (Health Care Fraud): No Charges. Grand Jury Investigation (Medicare Fraud): No Charges. Grand Jury Investigation (Tricare Fraud): No Charges. Violations of the Controlled Substances Act. Acquittal. It is difficult to imagine a “worst decision” or “worst case scenario” with lawyers by your side that have the specific (and proven) experience needed to protect your license, your freedom, and your future. Call us today at 305-928-8505 and let’s get you answers to your most urgent questions. The list of federal offenses investigated by the Miami branch of the Justice Department is long and it includes health care fraud, tax fraud, tax evasion, bank fraud, embezzlement, mail fraud, wire fraud, counterfeiting, money laundering, computer crimes, national security cases, federal perjury, obstruction of justice, and, increasingly the unlawful distribution of controlled substances in the context of opioids and other scheduled drugs. FBI at Your Miami Business. Follow two pieces of advice when the FBI shows up at your house or your business. First, stay polite and correctly identify yourself. Second, do not answer any questions no matter how nice the agents appear and no matter how innocent you consider yourself. What you need to know is that there is a reason federal agents are contacting you and that is because they consider you part of a federal investigation. Because the FBI will not tell you whether you are a target or merely a witness, and because the agents have no obligation to tell you the truth, you would largely operate in total blindness if you decided to have a dialogue with the agents. Additionally, federal statute 18 USC 1001 makes it a crime to withhold, misrepresent, or deceit information when talking to federal law-enforcement. The only right thing to do in this situation is to invoke your constitutional right to speak with an attorney and to kindly ask the agents to channel all questions through that attorney. Statements you make to Miami FBI agents cannot be undone and any illusion to be able to trick or mislead the agents could likely result in obstruction of justice or federal perjury charges. DEA & FBI Search Warrant. Especially in current opioid investigations, DEA agents from the Miami field office are increasingly executing federal search warrants targeted at pharmacies and physician offices. As part of the national enforcement plan to prosecute opioid prescribers, the United States Attorney’s Office in Miami and the DEA have built task forces to identify and take down doctors and small pharmacy businesses. Whether you are afraid that this could happen to you or if you need a reliable advice in the aftermath of such a search and seizure warrant, you need to know that experienced lawyers are available to mitigate or eliminate potential exposure. Our attorneys have– over and over– proven that prosecutors cannot and should not determine which prescriptions are medically necessary and what exactly constitutes the ordinary course of pain management. Our team of medical experts have helped physician and health care businesses across the country to successfully defend accusations of health care felonies, opioid fraud, and violations of the Controlled Substances Act at 21 USC 841 and 21 USC 846. What you do need to understand is that DEA and FBI defense cases are complex and often interdisciplinary and thus should not be handled by someone lacking the specific experience. Grand Jury Subpoena. The United States constitution tasks the grand jury to determine against whom to bring federal felony charges. 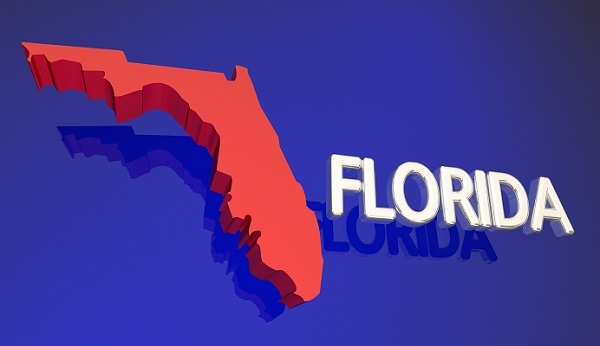 Any business and any individual that receives a grand jury subpoena from the Southern District of Florida needs to realize that, with such notice, you are in the middle of and part of a federal criminal investigation. The mistake lawyers lacking federal grand jury experience make is to advise their clients to simply produce the records requested or to show up at the date to testify as requested. This level of compliance, while perfectly sound at first glance, can lead to disastrous results. Merely producing documents without knowing what the case is truly about and what exposure a client may have, is never the right approach. Instead, skilled federal attorneys will advise their clients to gather and collect all requested documents for the attorney’s review–while the attorney is securing an extension and enters into a discussion with the supervising prosecutor. Call competent Miami attorneys right away when you received a subpoena. Let’s make sure you, too, will not get charged in the case like we have done for so many other clients previously. With more than 100 indictments in a single day, the U.S. Attorney’s Office for the Southern District of Florida covering Miami, once again, impressively demonstrated its role as the country’s number one health care fraud enforcement district. What is new this time is the diversification of the accusations. While Miami was long known for the center of Medicare fraud prosecutions, the June 28, 2018 indictments suggest a more nuanced approach. Besides claims of Medicare fraud and toxicology laboratory fraud, several Assistant United States Attorneys joined the efforts of their colleagues in other districts and charged physicians and health care business owners with violations of the Controlled Substances Act at 21 U.S.C. 841 and 21 U.S.C. 846 for allegedly distributing narcotics (e.g. opioids) without a proper medical reasoning or justification. These recent indictments must serve as a warning to everyone in Miami in the business of regularly prescribing Schedule I, Schedule II, or Schedule III medications. The government is only starting and it is of paramount importance for any provider and pharmacy owner to get reliable advice from lawyers that have repeatedly protected and saved clients and their licenses in DEA, FBI, and OIG opioid cases. The U.S. Attorney’s Office in Miami construes most federal cases as a criminal conspiracy. The reason is simple: Under federal conspiracy laws, the government can charge multiple defendants in a single case rather than bringing a series of individual cases. Besides this economic aspect, prosecutors appreciate that federal conspiracy laws do not require that the various defendants know each other or actively worked together in order to form a conspiracy. Sufficient is that the government can prove that each defendant contributed something, an overt act, to the overall success of the enterprise. For example, if the FBI in Miami investigates a kickback arrangement between a pharmacy, a referring physician, and a health care marketer, then the government does not need to show that the physician and the pharmacy owner communicated with each other or ever agreed to do something illegal together. In this example, the marketer would suffice to be the liaison between pharmacy and doctor. Here are other examples of common federal conspiracy charges in federal prosecutions in Miami, Florida. When Should I Reach Out to a Miami Federal Attorney? The second you have concerns or become aware of a potential investigation against you is when you should visit with an attorney. The sooner you team up with an attorney with the necessary skillset, the disproportionate higher your chances to escape the investigations unharmed. Federal cases are like chess games. Your lawyer must understand the game and must know when to make a move and when not. What Questions Should I Ask My Miami Attorney? If you are concerned about a federal case, it helps you little to know that your attorney has handled over 500 drunk driving cases. Instead, filter potential candidates by asking tough and targeted questions such as: How many federal cases have you personally handled? Who will handle my case? What was the case outcome in cases you have handled that are similar to mine? What percentage of your practice is dedicated to federal law (rather than murder cases or shoplifting)? Don’t look for a dentist when you need a spine surgeon. Yes. You can switch lawyers and you should switch lawyers if you feel neglected by your attorney or simply lost faith that your current attorney has the experience and knowledge to efficiently protect you. At the end of the day, your federal case is the most important legal challenge you will ever go through. Get a second opinion at 305-928-8505 and find out what experienced federal defense attorneys would recommend as the most promising and proven strategy in your case. We believe in superb service from the moment you call us. Instead of wasting your time, we understand that clients that call us regarding a potential federal case are anxious and concerned and want to have a meaningful consultation with an attorney as quickly as possible. That’s what we provide. When you call 305-928-8505, you will immediately speak to an attorney with substantial experience. We do not employ junior lawyers. Your case is too important to us to wall you off or allow fresh law school graduates experiment with your freedom. Just do the test. Call any law firm in Miami or elsewhere. You will get the runaround. The lawyer you want to speak to is declared unavailable. Secretaries or paralegals want to take down notes to see if any lawyer may be able to call you back. We are available now or can meet you at our Miami, Florida location.